I didn’t ever get tagged by anyone to blog about six crazy habits about myself, but Lizzie did tag me to devise a list of 5 courses I would take to improve my life. I tag Steve, Zach, Wahlee, Nicole, and Celeste to do the same…. How to deal with a husband in perpetual training 101: I had no idea in late 2004 that “training” to be an airline pilot would be so complicated. Ground school, private pilot rating, multi-engine, instrument, commercial, Jet U…and now Pinnacle. He’s always in training! His life is dotted with one test or checkride after another. He gets stressed, which adds to my stress. Three years and $100,000 later…tomorrow we should have an answer of if his O.E. is complete and he joins the ranks of a reserve F.O. He will continue to have first-class FAA physicals, type ratings, and other misc training throughout his career. I need a class to train me to cope with his training. Magnifying your talents, and uncovering the ones you’ve hidden under a bushel 202: I used to consider myself a good actress. I used to consider myself a good musician…dabbling in guitar, handbells, bass guitar, percussion, cello, violin and of course…years of piano and voice lessons. I also was really good at speaking French for a while. I’m sick of how often I say “I used to be able to do that.” I need to rediscover my talents, especially related to the arts. 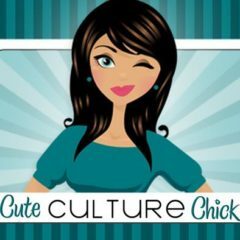 I don’t want to go by the screen name “cuteculturechick” if the only culture I participate is a spectator of concerts, plays, and movies. Dental Hygiene and slave labor opportunities to pay for massive dentist bills 303: I have bad teeth. I don’t ALWAYS brush and floss twice a day. But I’m more careful with my teeth than a lot of people I’ve talked to. Between my parents and I, over ten thousand dollars (out of pocket) was been paid in my life for dental work. I have another $2600 awaiting me as soon as I can afford it. I have dental insurance, but I still can’t get the care I need. I am thinking of ways to creatively raise funds to help financially support my local DDS. How to realize it’s okay to pay full price (occasionally) 404: I have never in my life had a point that I felt comfortable financially. My parents said “no” to most of my requests that didn’t involve birthdays, Christmas, and the beginning of the school year….all in the name of “we’re really broke.” I’ve been a college student, with my sole support for a semester being $500 in student loans, and the proceeds of selling refurbished VCRs. I’ve been the wife of a student for approximately 8 years (almost 5 with Steve, just over 3 with Taylor) and a single mom for almost a year. I’ve had times where I worked two jobs, and still had to beg for money from family to pay my utilities. I was raised on thrift stores and clearance racks, and still have a crazy obsession with getting the best price possible. I have a ridiculous variety of punch cards, 2-for-1 coupons, and various discounts in my purse pocket at any given time. I try to get student and employee discounts whenever possible. I subscribe to many email newsletters on how to cut corners and save a little dough. I’m not sure how much more frugal I could be. So when I actually have to pay full price….GAH! I feel like a failure and that I have been ripped off. As Taylor’s career progresses and we get a little less strapped for cash…I will be ready to accept the idea that full price is just a reality. Coping with the unexpected route 505 (senior seminar): Divorce, illness, unemployment, chronically ill relatives, depression, obesity, bad jobs…there are very few things I know I can count on to be a constant in my life (i.e. the Gospel) I get a set idea of how things should happen in my life, fully knowing that nothing goes as planned. But trials and suprises pop up and sometimes I feel like throwing my hands up in the air and saying “C’est Finis!” This class would definitely have to be taught by someone older, more spiritual, more experienced and more wise than myself.